Meng can still recall the day the Khmer Rouge liberated Cambodia from civil war, and how people celebrated in the streets. 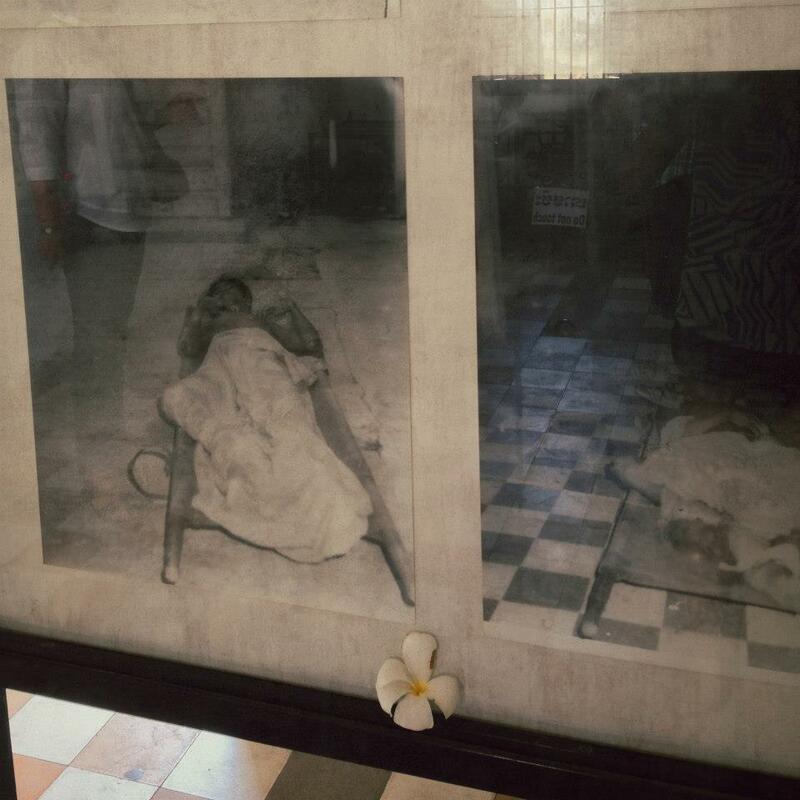 “I was only 13 years old then,” said the tour guide at Phnom Penh’s Tuol Sleng Genocide Museum, clutching a white frangipani in hand. The museum, which is also known as S-21, showcases the atrocities of the Khmer Regime and today it is one of Cambodia’s main tourist attractions. “They took my father and brother. My father was a teacher and my brother was a student,” said Meng, of the regime that sought to eliminate all intellectuals. She and her mother walked for three months to Battambang, where they were forced to work 12-hour days in the fields. There were hundreds of prisons along the way, and she saw children dying of starvation in the fields. 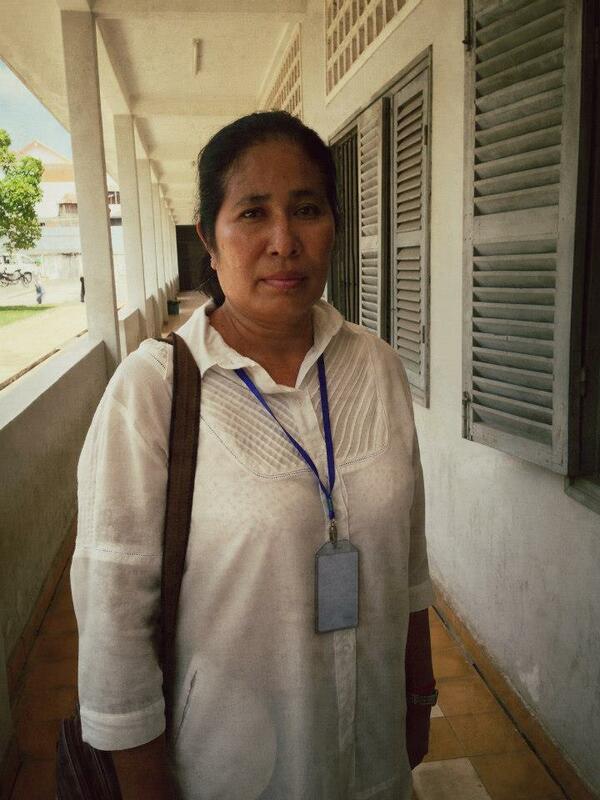 When the war ended she returned to Phnom Penh with her mother, working first as a cleaner at the Ministry of Culture and then as a guide at Tuol Sleng since 2006. I wanted to ask why she did it, or how she coped – didn’t it sadden her to relieve such memories every day? Then she continued, “Now my mother is old, I stay with her and take care of her,” and I realised it all came down to survival, and responsibility, and kinship. All they have now, after all, is each other. “I love my father and brother, but I don’t even know where they are buried,” she said, leaning against a grilled window of the former high school as she fought to keep her composure (as did I, watching her). I can only imagine she keeps their memory alive in the single white frangipani she lays as an offering as she walks through the former prison, every single day. Next Next post: Pseudo-angkorean temples. Say Wat?